At this writing, we are just a few weeks away from the spring equinox. Now, perhaps more than at any other time of year, we may notice a awakening happening within. We may have set intentions for ourselves during the short, gray days of winter. Some (or all) of these goals may have lain dormant during the winter months, but something magical happens as we see the first green signs of rebirth in the nature around us. We become encouraged and invigorated by the increase in warmth and light and we find new energy to inject action into our intentions. This renewed vivacity is felt here at the Healer Within Foundation, too. 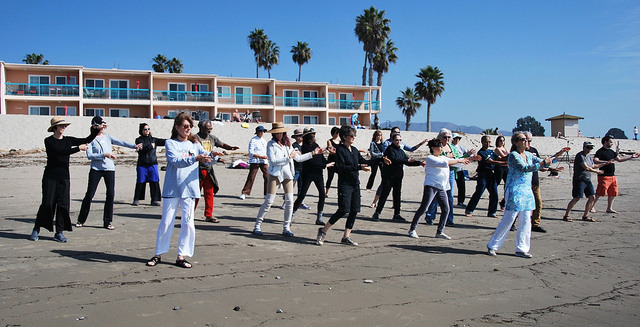 We are busy with Tai Chi Easy™ Practice Leader training events happening across the US and our first European training this June in Northern Ireland! 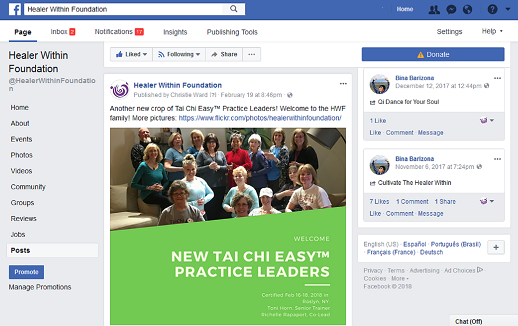 We are also constantly working to improve the reach of the Tai Chi Easy™ Dissemination Project as we continue training thousands to improve the health of millions. Your help in these endeavors is needed and appreciated. We’ve outlined many ways you can get involved in supporting the mission of the Healer Within Foundation below. So, as we shake off winter and allow spring to motivate and inspire us, consider: If winter held sickness, let the fresh air and sunlight of spring help to restore your health; If winter brought loss, let the new life and awakenings around you bring you hope; If winter was a season of silence, be aware of the returning song birds bringing music to each dawn. Allow spring to help awaken a rebirth - and the Healer Within - in you! 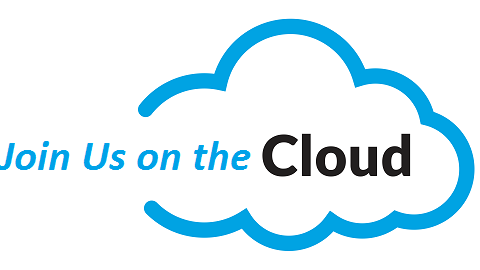 Our next 5th Saturday Gathering on the cloud will be March 31, 2018. Cloud Gatherings begin at noon PST/3:00 pm EST and last for approximately 90 minutes. All are welcome, but space is limited! Our program this month will focus on Medical Qigong versus Therapeutic Qigong and will hosted by HWF President Josie Weaver with guest, Andrew Ogden. Call Now to Urge Congress to Advance Whole-Person Integrative Healthcare! The Integrative Health Policy Consortium and other groups working to advance integrative healthcare in the US are asking for help. Please consider calling your Representative to join the new bipartisan Congressional effort and attend a Congressional Briefing on March 15, 2018.
and health promotion can create cost savings while improving health outcomes for Americans. Click HERE to lookup your Representative's contact information and for suggested talking points. So far in 2018, we have welcomed 47 new TCE Practice Leaders! Pictures of all these shiny new HWF family members and their awesome trainers are available in our Flickr albums. 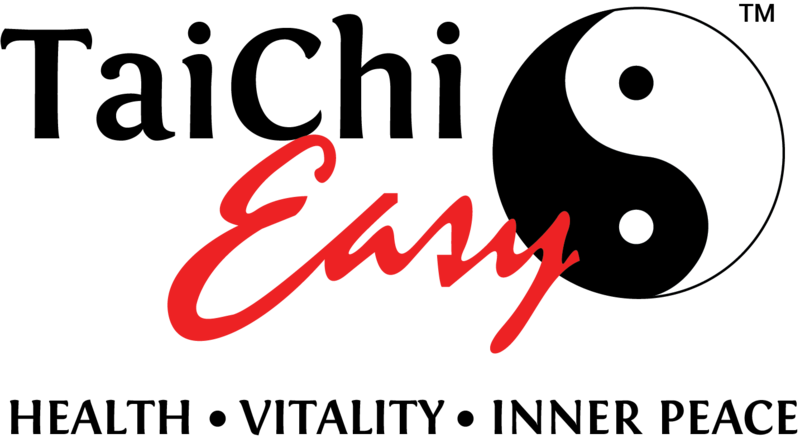 Trainers, Teachers and Practice Leaders, did you know you can assist at most every Tai Chi Easy™ Practice Leader training event? Yes, you can! Assisting is a great way to learn from other trainers and leaders and to brush up on your technique and practice. Last November we gathered in Santa Barbara to celebrate the 35th anniversary of the Community Practice Group there and to thank their volunteer leader of the past 20+ years, Dennis Furuike. After so many years of (almost perfect) attendance leading the group each Wednesday morning, Dennis decided he would like to "retire" his position. So, we began looking for dependable and caring volunteer leaders who would continue to nurture and grow this long-standing community group. Enter Cynthia Maez and Andrew Ogden. Cynthia has been a lifelong proponent of holistic fitness and health both professio nally and socially. She works as a Registered Dental Assistant, has taught in schools and, through educational programs (e.g., tobacco use prevention, dental awareness) in community centers and offices throughout the central coast, helped children and youth become more aware of themselves and their responsibility for maintaining their own health. During her 28 years of practicing Buddhism, she has been closely involved with her Center’s youth and women’s activities as well as other youth leadership activities at the Franklin Neighborhood Center. Cynthia also promotes wellness through nutrition, especially integrating juicing into a healthy diet. As a new Tai Chi Easy™ practice leader, she is enthusiastic about joining a community committed to cultivating health and vitality through regular Tai Chi and Qigong practice. Andrew is a native of Ojai, California, where he currently resides. Since he was a teenager, he has been interested in various world religions and cultures. 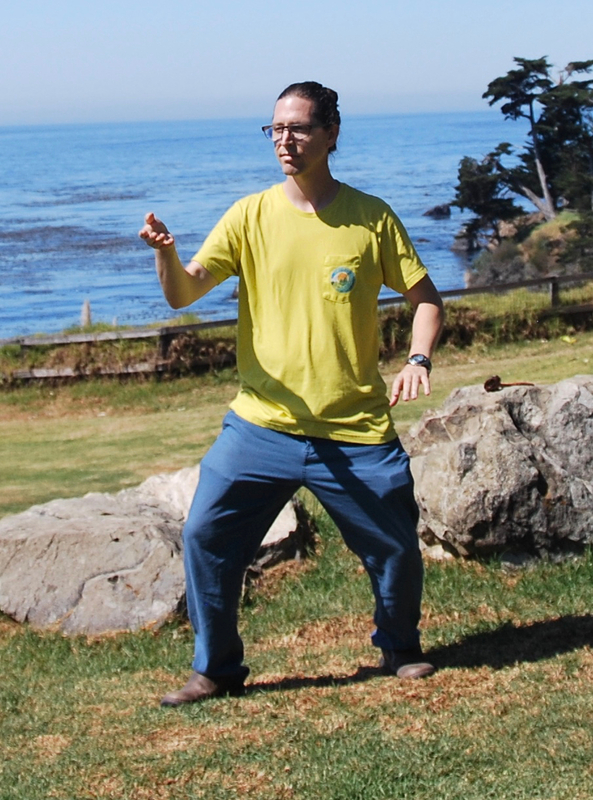 Having been a student of meditation, yoga, and energy work since 2003, he more recently formalized his education by becoming certified as a 200-Hr Qigong & Tai Chi instructor through the Institute of Integral Qigong and Tai Chi in Santa Barbara, CA. He is also a massage therapist, certified as a 1000-Hr Holistic Health Practitioner from Santa Barbara Body Therapy Institute, where he completed an additional 200-Hr Medical Qigong program. An avid photographer and traveler, he values nature and seeks always the authentic experience. He holds workshops, public and private classes, and bodywork in the Ojai, Ventura County and Santa Barbara area. Our thanks to both of these amazing volunteers as they begin a new chapter of community practice in Santa Barbara. If life finds you in the area on any given Wednesday at 10:30 am, join Andrew or Cynthia (and maybe even a few guest leaders) at the Franklin Community Center, 1136 E. Montecito Street Santa Barbara, CA. for community practice. Everyone is welcome! Blog Article - Round Up! We're focusing on Medical Qigong this month and we are happy to share a new article written by IIQTC Senior Trainer, Brian Trzaskos. Brian speaks to the benefits of rounded movement and how the practice of Tai Chi can play a part. Be sure to check out the HWF Blog for some great information and join in the discussion! Do you offer a free or freewill offering practice group in your community? Contact HWF about how you can list your group on our website directory! Also, watch for an email later this month on how you can become a part of the Healer Within Foundation Leadership Circle. This dedicated group has chosen to give back to their communities and the HWF.